The armchair critics are very tough to please. After an incredible four years at the helm of the Hurricanes, Chris Boyd leaves the team in a much better position than he found it. Yes, the last month of the season has been disappointing, but that doesn’t take away from the success Boyd has brought to the Hurricanes. He leaves as their most successful coach to date, finishing with a 54 win, 17 loss record. This is a 76 percent win percentage, which is very good, however, people are still calling him a terrible coach. Fans are very quick to forget that before Boyd arrived at the Hurricanes they had only made the playoffs six times in their history with squads of a similar strength, if not stronger. The competition today was of a higher standard than it has ever been before, which just proves how good a coach Chris Boyd actually is. In his four years as coach, the Hurricanes made two semi-final appearances, a runner-up campaign and won their maiden title in 2016. 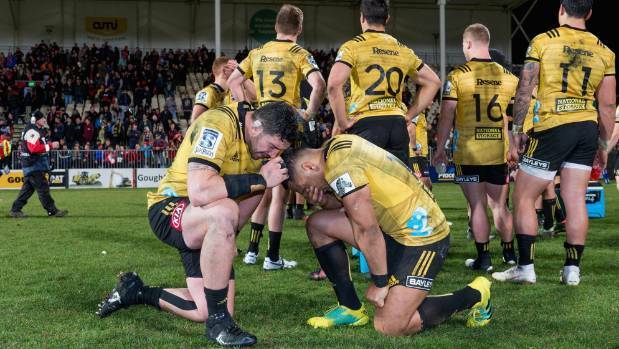 Fans are going on about the poor tactics over the last month, which I do agree with, but I think there are bigger reasons the Hurricanes lost to the Crusaders on Saturday. 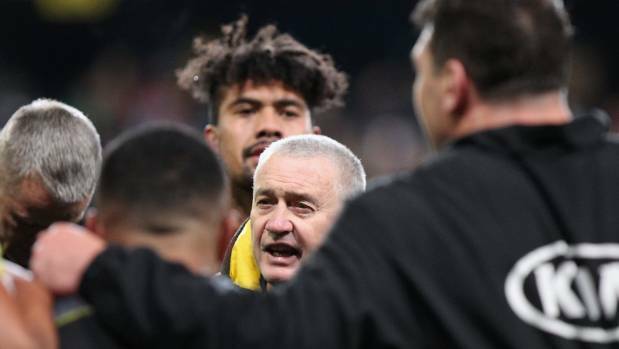 As Chris Boyd said post-match, “at the end of the day, the Crusaders are probably, at the moment, with what they’ve got, 20 points better than any side,” and this is for a number of reasons. One, their forward pack is made up of current All Blacks, with fringe All Blacks, Tim Perry and Luke Romano and Wallaby Pete Samu on the bench. Compare that to the Hurricanes who only had former Wallabies prop Toby Smith and fringe All Black Jeff Toomaga-Allen on the team. This resulted in the Hurricanes having backfoot ball or unstable ball, which is hard for any backs to work with, even the five-star backline of the Hurricanes. The Crusaders were going forward all night which made Richie Mo’unga and his teammates look a lot better, which they currently are. Secondly, injuries to the Hurricanes’ players throughout the seasons didn’t help Chris Boyd. These injuries resulted in him having to put players out of position. The most notable change was Jordie Barrett who was exposed defensively and struggled on the attack at center as well as Nehe Milner-Skudder who I see as a much better winger than fullback. Not much has been made of the late withdraws of Ardie Savea and Chris Eves who could have made a huge impact if they had played, but let’s be honest, it wouldn’t have changed the result on Saturday. Lastly, I feel Beauden Barrett is burnt out and this really didn’t help the team or the coach. Boyd wanted the Hurricanes to play territory and employ a high kick game, which meant Beauden would have had to be in form and kicking well, which he wasn’t. On top of this, the Hurricanes couldn’t fulfill the game plan Boyd envisioned due to Milner-Skudder, a winger by trade, playing fullback when his kicking game is average. Maybe if Beauden Barrett was in form and Jordie Barrett was at fullback they could have executed the game plan much better. There could have potentially been fewer aimless kicks resulting in a win and me not writing this opinion piece. Beauden Barrett is the heart of the Hurricanes. He is their best player and back-to-back world player of the year. He has been struggling for a while now and it’s no coincidence that when Barret is struggling, so do the Hurricanes as a whole. To me, and I’m sure people will disagree, he looks tired and seems like he is going through the motions, especially after an incredible past two years and a pretty good few years before that. I wonder if he is holding something back for the Rugby Championship this year and the Super Rugby and Rugby World Cup next year. So let’s take some of the heat of Chris Boyd. He has been a wonderful servant to the Hurricanes and New Zealand Rugby. He leaves the Hurricanes with a great winning percentage and, for the majority of that time, had them playing to their potential if not above it. Players have improved under his guidance and he leaves the ‘Canes in a better place than he found them. These two things are traits of a very good coach, which Chris Boyd is.